We help you banish ugly stains, restore curb appeal, and invest in the condition of your property for the long run. Inland Pro Wash brings in the professional solutions to make your rust and battery acid stain issues a thing of the past. Orange stains don’t do much to amplify curb appeal, and dark streaks don’t solidify a great first impression. Inland Pro Wash provides rust stain and battery acid stain removal services that protect your business or home. Whether your eyesore is caused from iron-rich water, vehicle battery acid, or something else, our team is here to create an efficient and effective fix. Rust and battery acid stains both come along with the same disadvantages. But the way in which we treat each issue is nuanced. Our cleaning process hones in on the source of the stain to help make sure that the problem doesn’t present itself in the future. 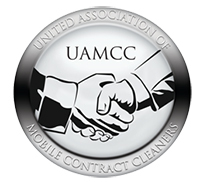 We clean to protect the curb appeal, environmental integrity, and quality of your property. With practices that prioritize EPA compliance, Inland Pro Wash ensures that your property is #1. Copyright © 2016 Inland Pro Wash. All Rights Reserved.